I finally did it - I went & got me a new Study Bible yesterday. I've been wanting to do this for awhile & Family Christian is now having a one week only sale where certain Bibles are 50% off! The reason I wanted to finally break & get a Study Bible is because when I'm in one of my Bible Study groups - I see people reading other notes their Bible has & find other verses that correspond to this one verse - I'll admit, I was jealous - I wanted to learn more too! Yes, I have other Bibles at home too, but none are Study Bibles. I have Bibles from where I was young growing up (my mom still has my first Bible sitting on her table at home!) 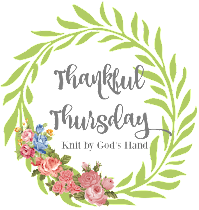 - I have different translations of Bibles, I have Bibles that were gifts, I have my pocket Bible that is good for quick references - especially listening to the radio & they throw out a verse - I got that handy pink Bible right there to find it! And then, there's my ole' faithful - the one I've been using for 18 years! My mom's best friend, Myrna, bought me this Bible when I got baptized. 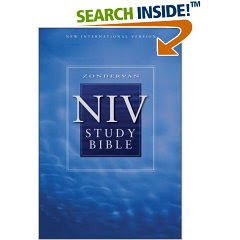 It also is an NIV Study Bible - but its not like the study Bibles of today. As everything does with time (most everything) things get better. My ole' faithful just isn't up to par when it comes to "studying". But now, I'm torn - I hate to retire my dear Bible to the shelf. Its been to so many places with me - so many trips, studies, sermons, through so many struggles, joys.....not to mention, every note I have taken during lessons are marked, checked, circled & noted in the margins. And just for note - I am a One Bible Person! Even though I do have those other Bibles - I like to keep all my stuff together in one nice package - so everything is in there from the past. Do I just let those go? A friend of mine told me to look at this Bible with "new eyes" - see it afresh. But I like my notes & my thoughts from before....ohhh, I get so worried over the stupidest things! Tonight is the Women's Bible Study - I guess I'll try out my new NIV - give it a go. I'm already feeling guilty leaving behind my old gal...changes - I'm not good with them! This is the one I have - you'll love it!